That's right! 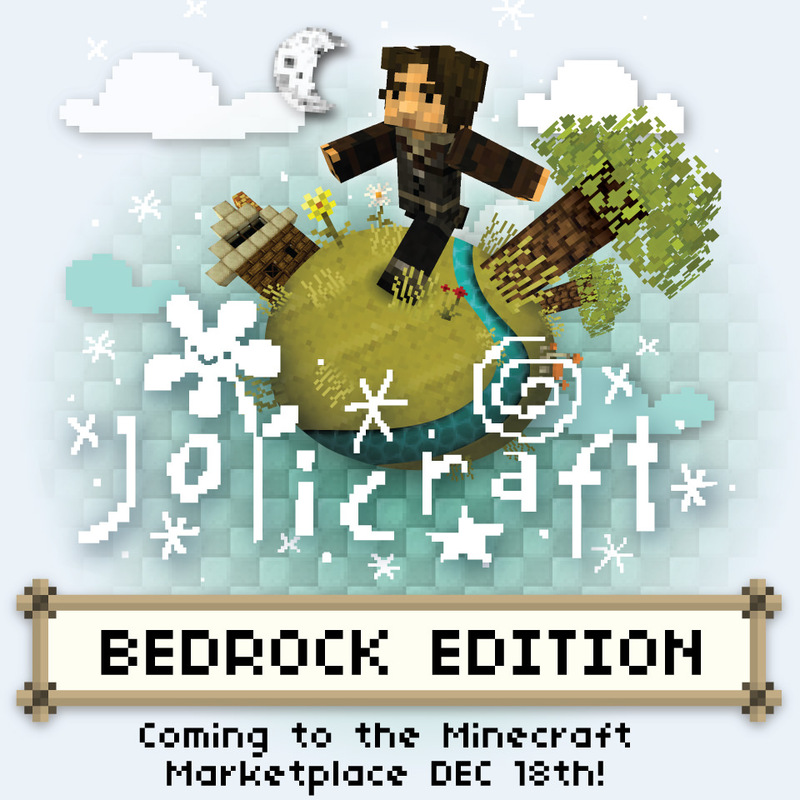 At long last, you'll be able to download Jolicraft from the Minecraft marketplace on the bedrock edition of Minecraft. This includes Xbox, PlayStation, Nintendo Switch, Android, iPad/iPhone, etc. I'm super excited to finally share this news. 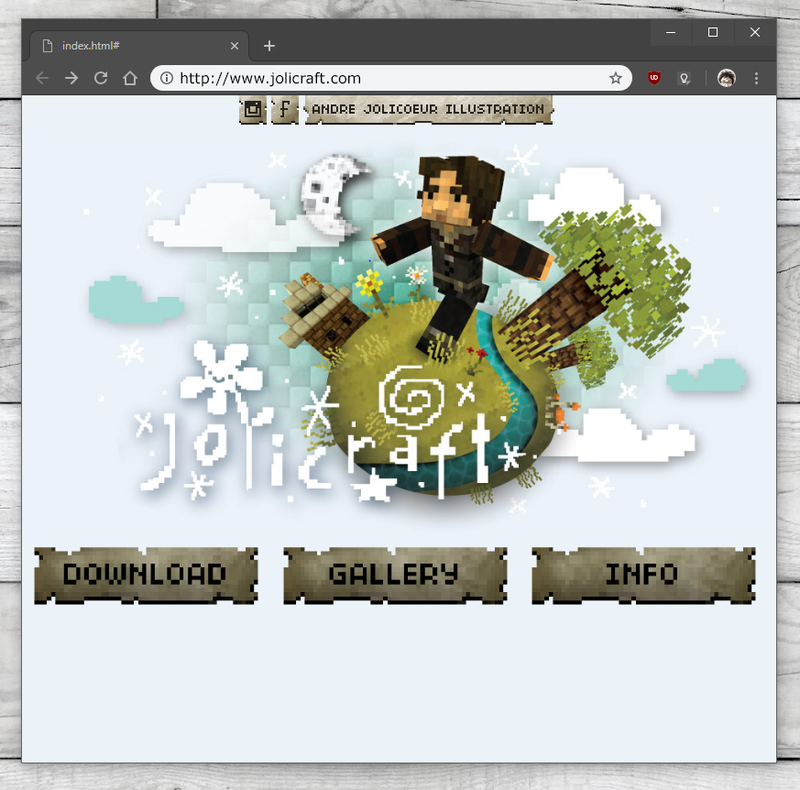 I've been working with the good folks at Microsoft for a while now to get Jolicraft ready for release on the Bedrock editions. It's been a journey! After many bumps in the road we're finally on our way. Be sure to check the Minecraft Marketplace next week on December 18th to download it for your device. Xbox, PlayStation, Nintendo Switch, Android, iPad/iPhone, etc. Marketplace next week on December 18th to download it for your device. Woot, so happy to see this coming to Bedrock. It's honestly been what Bedrock version has been missing. Question though, will the Bedrock version have an option to use your custom font and alt paintings? I know a lot of people complained about your custom font back when you first added it but I personally love it and it doesn't feel like full Jolicraft without it. And all though the paintings that you have in as default are cool, I prefer having the ones that are pixel versions of your actual art pieces. Either way, really looking forward to this. The paintings are part of the bedrock edition (I'm going to return to using the paintings in the next Java update as well to keep them consistent). Font, nope. I don't have the rights to profit from the font I used, so it's not part of bedrock. Sweet, glad you are going back to the paintings and I understand about the font. Will you try to make your own font for it at some point? Really excited for you to finally have it out on bedrock and right now it's sitting at 5 stars which is great. And ya, I pop back in every now and then. 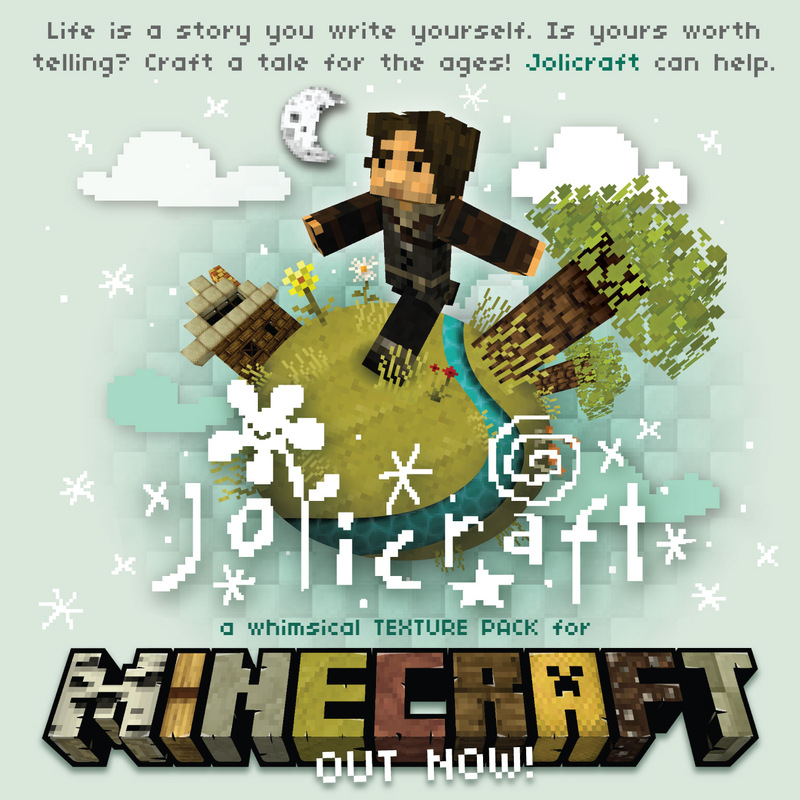 When ever I get an itch to play Minecraft I always have to come here and grab the newest version of Jolicraft cause it is never the same without it. I'm just glad that you keep it going as a one man show. Hope you have a great Christmas and can't wait to see the new things for Jolicraft in the New Year. How do I find the alternative textures? Pic related, talking about the items, armor, blocks, and paintings. Any intentions to update the christams/winter version of your texture pack "Snowy Jolicraft"? or is that one a dead version? How do I find the alternative textures displayed in this photo? Oh hey, Andre! Love seeing this on Bedrock now, and I'm also glad to see you have java up to date at 1.13 as well! Hey, could you possibly make a download for the wandering old man skin that is included in the wanderers skin pack for bedrock edition. If so thanks, I love the textures! I just made an account on here to tell you that I've been using this texture pack since about 2011 and I can't imagine playing without it. Do you have any plans for releasing a 1.14 update? Also, when was the diamond armour changed from the sort of glasses into the scarf now, and is there a way to use that instead (like downloading an older version and replacing the current armour texture with the old one in the .zip)?